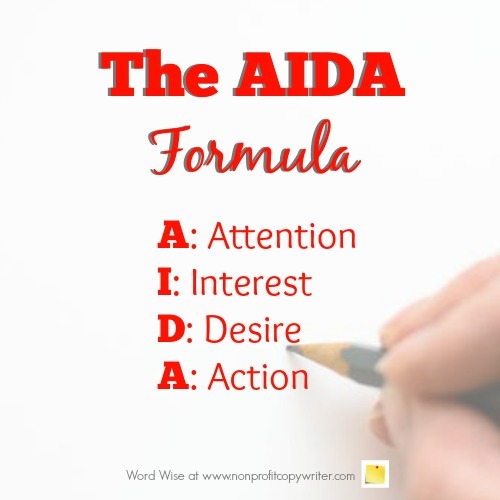 The AIDA formula is widely-used model in copywriting, particularly by copywriters in sales letters and nonprofit leaders in appeal letters. 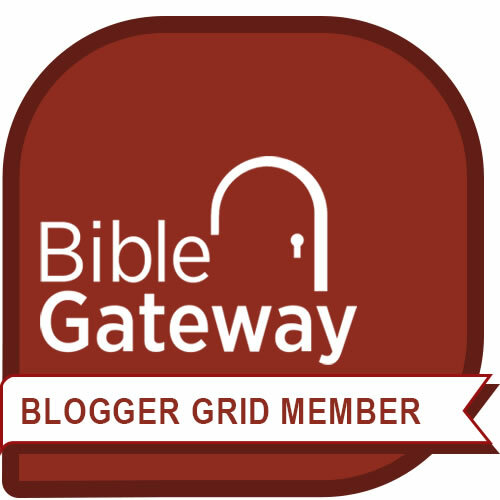 But I find it handy for writing all kinds of content, especially for writing articles, web pages, and blog posts. I'll explain how in just a sec. But first, a bit of background. Writing formulas provide a handy outline for you to follow as you work on a writing project. For a long time I thought the AIDA formula was a writers-only concoction – a persuasive copywriting template which we use for the express purpose of getting the reader to take an action, such as to buy a product or give a gift. Little did I know that we writers hijacked it from marketers. The formula started its life as a tried-and-true advertising model. AIDA is an acronym credited to American advertising pioneer Elias St. Elmo Lewis (1872-1948) which outlines 4 sequential steps a consumer takes to purchase a product: attention, interest, desire, action. First, she becomes aware of then product, then develops interest in its benefits, cultivates a desire for it, and finally takes action to buy it. Copywriters adopted the AIDA acronym as a framework to follow in writing sales letters or appeal letters with the ultimate purpose of persuading her to take action. A: Attention. Grab the reader’s attention with an interesting fact, story, statistic, or startling statement about a problem and the need for a solution. I: Interest. Keep the reader’s interest by explaining the need or the problem further – and why your organization or product is the answer to the problem. D: Desire. Build the reader’s desire to alleviate the problem by outlining the benefits of your product, service, or cause. A: Action. Move the reader to in a call to action with clear instructions about what she should do, such as buying a product now or giving a gift before it is too late. I felt the same way … until I realized that the purpose of content writing is to give the reader information she can use or act on. Content explains a problem and a solution. Ultimately, good content gives the reader an action to take to solve her problem. Sounds a lot like the AIDA format used in copywriting, doesn’t it? Good content is about getting the reader’s attention about a problem (A), keeping her interest by explaining her problem (I), building a desire for a solution (D), and giving her an action to take. (A). A: Attention. Get your reader’s attention by writing an interesting hook or opening twist. As I wrote this piece, I used a hook to get your attention by explaining AIDA, a writing copywriting formula that can cross over to content writing. I: Interest. Keep your reader’s interest in your topic by explaining the problem she faces. You want tips about writing so you can save time and write better. AIDA (like other formulas) is a useful tool. But how is it used in marketing and copywriting? How does it help writers save time? D: Desire. Build her desire to know more by writing about the solution to the problem. Can you truly use a formula for writing content? How does that work? As you read, you raise objections in your mind so I addressed them. A: Action. Move your reader to act or take a step to solve the problem. You've seen how the AIDA formula can save time, is a useful framework for writing both copy and content . It focuses on the reader, helps her solve a problem, and works. Now you're ready to try it when you write an article, post, or other short piece. Good content explains a problem and a solution the reader can use … which makes AIDA a helpful formula you can use as you write all kinds of content.